A website development by waste management specialists Cleansing Service Group (CSG) provides customers with the facility to settle their invoices online. The company says that since being introduced last year the number of account holders using the service has steadily increased. “The take-up has been much better than expected in such a short time and feedback shows that customers appreciate having the facility to settle accounts online by credit or debit card rather than through traditional payments methods such as a bank or by cheque,” said CSG’s IT manager Dan Gailer. CSG account holders wanting to use the service just need to go on to the Online Payments page on the website and enter their account number. 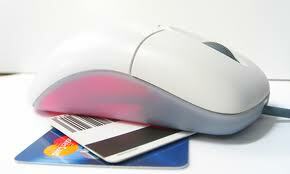 They are then transferred to a secure site and can settle their account with any of the major credit or debit cards. CSG provide a nationwide portfolio of skilled technical services covering all aspects of hazardous and non-hazardous waste management services for industrial customers which include Government departments and agencies, local authorities, leading supermarket groups, multi-national forecourt chains and major utility companies.